The essence of traditional software development way is “Programming-Centric”. The production of software totally rely on labor intensive way, consequently, companies suffer the non-fit software: high cost, long production lead time and hard to maintain, these all impede a company’s growth, eventually, the company gives up on improvement. 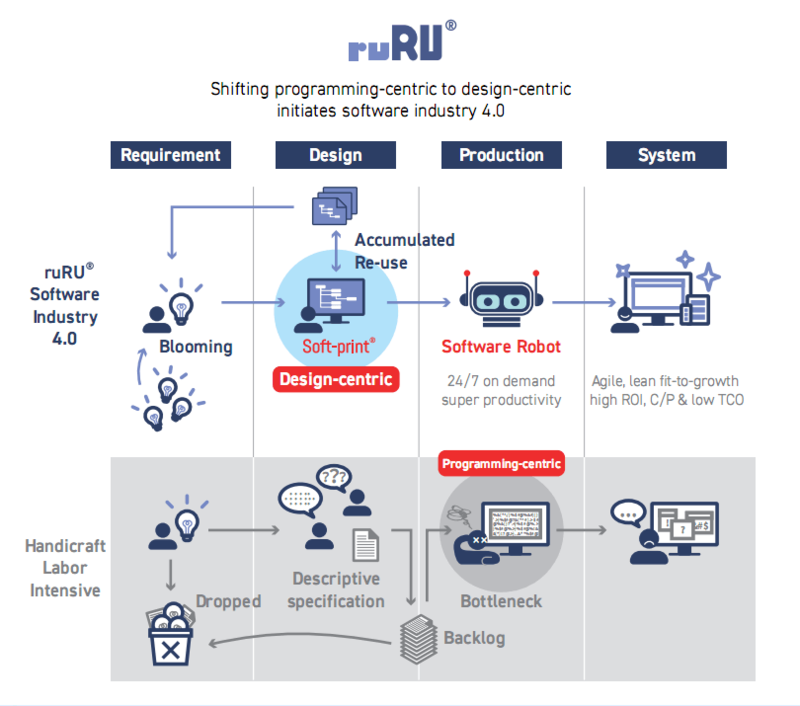 To compare with traditional way, ruRu innovates “spec-centric”( soft-print), integrate high production software robots, automatically convert design spec to executable system that utilize the best practice software spec.